As companies increasingly outsource their critical online operations such as Web sites, ecommerce, email and domain name system (DNS), the tolerance levels for outages and downtime continue to diminish. As a result, service availability is top of mind for hosting providers. Distributed denial of service (DDoS) has emerged as a major and growing threat to service provider availability - imposing cost and risk on both providers and their customers alike. 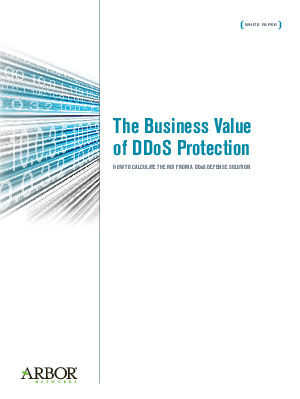 Download this paper to learn how to evaluate your risk vs. the expected returns from investing in a DDoS defense solution.